Now that the winter months are here, we’re all getting excited about the festivities of Christmas, New Year, and other celebrations. Even if you aren’t a religious person, there’s no doubt that this is a great time for partying and enjoying time with loved ones. Unfortunately, that indulgence can lead to some serious weight gains. And that’s something that nobody is set to enjoy. Those weight gains will inevitably knock your confidence and can leave you needing to buy a new wardrobe. A few preventive measures can help avoid that outcome, however. With the support of these five steps below, staying healthy and happy throughout the colder months should be a piece of cake easy. There’s no escaping the fact that you will consume more calories during the winter months. The only way to counteract this factor is to increase the number you burn. Exercise is the key to making this happen, and you essentially have two options. You can either work longer or work smarter. Given the hectic nature of modern life, the latter is often more viable. When choosing a new workout routine, there are many factors to consider. It should be fast, fun, affordable and effective. Reading honest reviews is imperative as you look to gain the full picture. Visit https://defendyourhealthcare.us/shin-ohtake-and-max-workouts for more info on home workout DVDs. Or if you plan to sign up for a class, consider reading customer feedback before making a commitment. In truth, most people could benefit from increasing their water intake at the best of times. Being well hydrated brings an array of rewards for improved physical health. Throughout the colder months, though, it can also become your greatest weapon as you aim to control calorie intakes. For starters, every glass of water is one less glass of sodas and less healthy drinks. Worse still, some of those other beverages will actively leave you feeling more thirsty. In many cases, this can be confused with hunger, leading to overeating. Staying hydrated fights back against this issue. Moreover, drinking some water before meals can partly fill your stomach without consuming any calories. If nothing else, this makes it far easier to control portion sizes. This way, you can have a little of what you love without bulking up. First and foremost, keeping an eye on your figure is an issue related to health. However, there’s no question that image concerns are a major incentive too. Therefore, it’s vital that you pay attention to other contributing elements. The skin can be particularly vulnerable in the cold weather, which is why you must aim for a youthful glow. When you get this right, it will put you in a far better mood. This should allow you to overcome any weight issues. The longer you avoid the potential decline, the more likely you are to stay on the right track. Other useful beauty routines can include getting a new hairstyle or choosing new nails. Essentially, health and beauty come as one big package. Take a thorough approach to keeping your body in great condition, and your physique is sure to stay in good shape. Early sunsets, long nights, and cold weather can encourage you to spend the bulk of your time indoors. Unfortunately, this can quickly take its toll on your general happiness. Seasonal Affective Disorder is a very real condition. Sufferers should visit https://greatist.com/happiness/6-ways-fight-seasonal-affective-disorder-sad to help fight it. Even if you don’t have it, there’s a good chance staying indoor will lead to significant weight gains. Finding fun winter activities, either alone or with loved ones is crucial. 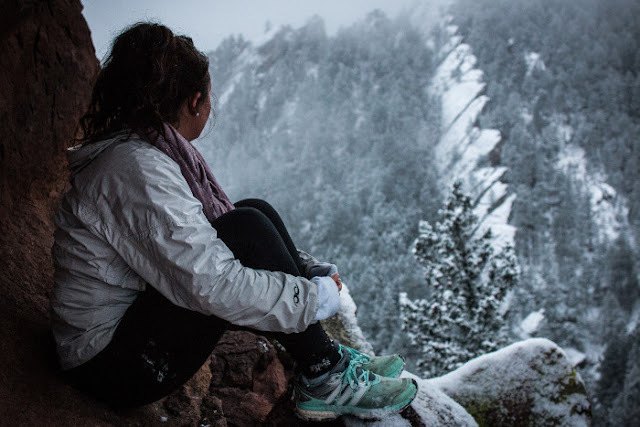 Not only will it aid your bids to maintain a positive body image, but it will also allow you to enjoy winter. This can be one of the most magical times of the entire year, and those experiences are the key to celebrating that factor. For the sake of your emotional health as well as your physical health, you must not get this wrong. Last but not least, it’s important to remember that life is to be lived too. There’s nothing wrong with attending a party or taking a day out from exercise. Even if you encounter a week-long blip, there’s no point in punishing yourself. Simply get back on the horse, and you should be just fine. Once you appreciate this factor, staying in shape throughout winter and beyond will suddenly feel easier.